The opening night program brings together short animated films from Dutch, French, Ghanaian, Hawaiian, Māori, Native American and South Korean cultures. A panel discussion on women and social issues in cultural films and animation will follow the screening. Directed by Phoenix Maimiti Valentin. 2018. Hawaiian. 12.5 min. Join Wai, (a water droplet) on this timeless odyssey of the water cycle as you are taken through Hawai'i, past the farming fields of lo'i kalo to the moist clouds of the sky. Witness this spectacle of life in Heaven's Tears. Directed by Marsha Onderstijn. 2012. Dutch. 5 min. 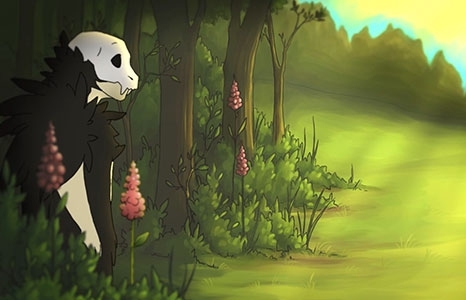 Death goes about his daily job of taking the lives of animals in the forest, when one day, he comes across a lovely doe. He falls in love with her and can’t bring himself to take her life, so they slowly become close friends. In the end, the doe teaches Death that dying is also part of life. Directed by Casely-Hayford. 2018. Ghanaian. 4 min. A woman’s skin is covered with colonial legacy icons of war, domesticity, and enslavement. As she remembers the strength of her culture and resilience, her skin morphs into the Adinkra symbols that convey her story through Akin proverbs and philosophies inherent in Ghanaian culture. 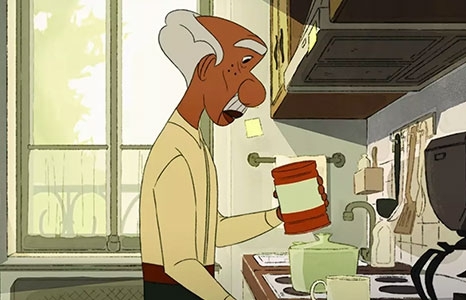 Directed and animated by Brenda Bulut, Thomas Campos, Théo Coriton, Marion Debrick, Nina Gannier, Antoine Gillet, Alix Putier and Clémentine Sergeant. 2017. Native American. 4 min. ​Hawai‘i premiere. When the sun sets on a small native American village in the middle of a forest, two children, Aiyanna and her brother,Tawa, are playing hide and seek. From the edge of the village, the young girl is lured away by a furtive blue light into the mystical forest. To save his sister, Tawa must venture deep into the heart of the spirit world. Directed by Éloïc Gimenez. 2018. South Korean. 5 min. ​Hawai‘i premiere. Created by Charlie Beakley, Rodney Selby, Matthew Rogers, Ray Ruawhere, and Karl Johnstone. 2006. New Zealand. 6 min. Hawai‘i premiere. 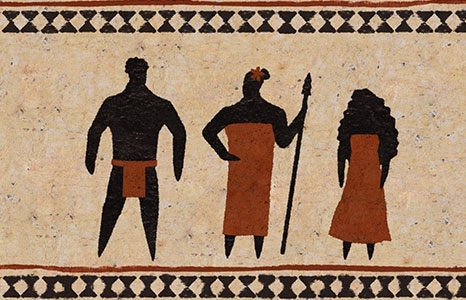 With an introduction from the Museum of New Zealand Te Papa Tongarewa, this is a dramatic tale of treachery and revenge involving the chief Tinirau, his pet whale, Tutunui, and Tinirau's sinister guest, Kae. The story reveals the complex relationship that Maori have with whales. Mana Comics is a self-published independent comic book company that celebrates ethnic diversity, showcases heroes from Hawai‘i, and was founded in 2014 by creator Christopher Caravalho. Directed by Kari Noe. 2018. Hawaiian. 1 min. World premiere. 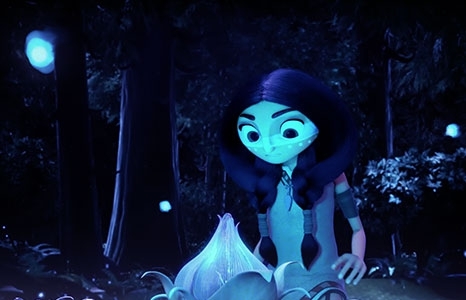 A trailer for the upcoming short animated film Kai and Honua. Directed and animated by Julien Becquer, Elena Dupressoir, Jules Durand, Viviane Guimaraes, Ines Scheiber. 2017. French. 5 min. Hawai‘i premiere. Directed by Adrian Baker. 2013. Native American. 3 min. Hawai‘i premiere. Ohlone activist and educator Corinna Gould talks about the destruction of sacred sites in the name of development and greed, with a focus on the shellmounds in the San Francisco Bay Area of California. Buried is party of the Injunuity half-hour documentary made up of nine short films using a unique mix of animation, music and real audio from interviews with Native Americans conducted on reservations and in big cities across the country to form a distinct view of modern America from a contemporary Native American perspective. Hawaiian. 5 min. World premiere. Created by Dean Hamer, Joe Wilson and Jared Greenleaf. Narrated by Hinaleimoana Wong-Kalu. 2014. Hawaiian. 3 min. Mahu is the Hawaiian term for people who embody both male and female spirit. They were respected as healers, caretakers and teachers of ancient tradition. Directed by Bastien Dubois. 2013. Melanesian. 11 min. During the Pacific war on the coast of Papua New Guinea, the Papuans want to claim the god Cargo's gifts by developing a new rite. Directed by Rosemary Kulhavy-Sutherland. 2017. Hawaiian. 1 min. World premiere. Pua’s mom is going out for a moment and is leaving 7-year-old Pua home alone. But there’s one very important rule- don’t play Grandpa’s Ukulele. Any guesses at what Pua does? Doris Duke Theatre director Taylour Chang moderates this panel discussion with guests Hinaleimoana Wong-Kalu, Laura Margulies, and Jenny Fraser.